A trip to the hospital today for two facet joint injections for a herniated disc in my back drove something home for me- I have not raced since 2013 nor completed a marathon since 2012. For me this was unthinkable in February 2013 when I felt in the shape of my life and was running 50 miles per week. Many days I ran at both 6am and 6pm, having to resist a third run on some occasions. I was well and truly addicted. The subsequent cold turkey was something only runners could understand. When I tore my hip labrum during an interval session in that month I never once envisaged writing this post in Spring 2015! My operation was not scheduled until February 2014 and to be fair I was slow to accept how bad my hip was and had run on to August. 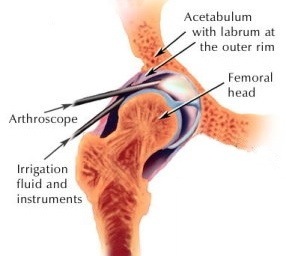 Once MRI’d and eventually opened up, the docs found grade 3 degenerative arthritis in my hip. A hip replacement down the line is a certainty , thus no real reason not to run anymore. With all the advice about cycling instead there was a cruel irony when I felt fairly severe back pain whilst cycling with a friend some six weeks after the hip op. When the symptoms kept recurring I bit the bullet and went for another MRI . 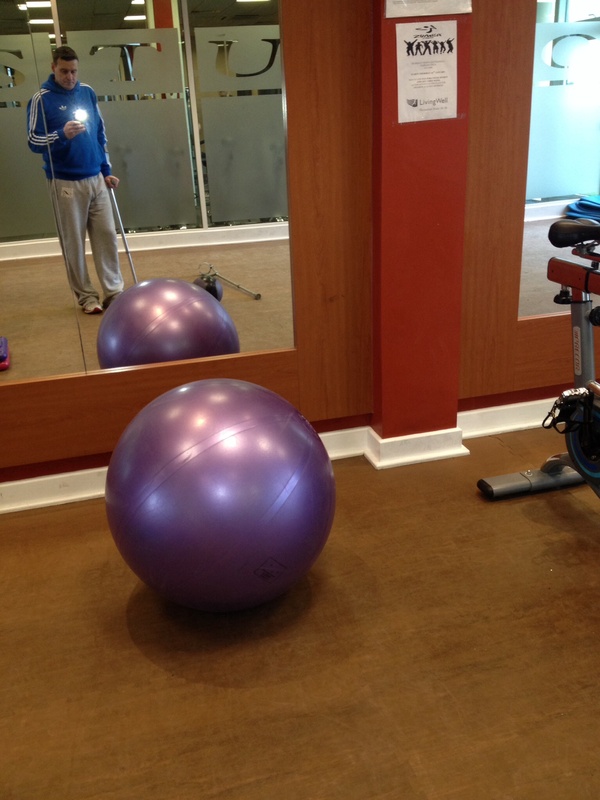 The result was a herniated disc and this has kept me from hitting the road more than the hip! Finally but mist crucially, for anyone undergoing a hip arthroscopy – mine was successful, but take real care with your long term rehabilitation. The fourteenth months since the hip arthroscopy have been a horror show. About four weeks post op I was out one the bike and experienced backache on the same side of the operation. After months of the back injury relapsing an MRI scan revealed a slipped disc. The weakness in the right hip had contributed to the herniated disc whilst trying to train. A year on the slipped disc plagues me. I had hoped to complete a marathon in May but just as the training intensity was increasing the backache returned with a vengeance. Horror Show. I know I’ll get back running in spite of the hip arthritis and slipped disc , but it’s been over two years since I first tore the cartilage of the hip. The op was a year later and now it’s nearly fourteen months post op. Horror show. So I fully expected to be back running at this stage (even if the surgeons didn’t) . I’ve been pushing hard on the bike and have put in the odd run. The runs have been very very short and very sparse and I’ve always suffered for this. My biggest enemy here is lack of patience. I was told the bone would only start to heal at 20weeks and would take two years to heal fully. My last post was 5 weeks post op and I was quite upbeat. Sadly recovery since that point has slowed dramatically. I’ve done three forest runs – just shy of 3 miles each time – and although I didn’t have a huge negative reaction things just weren’t a hundred percent. As I want to be sensible about the recovery (and the doctor has advised against running) I resolved to leave it a few more weeks. So to the bike I turned. Now I love getting out on the bike and it is recommended for rehabilitation purposes post hip arthroscopy…but I’m sure they didn’t mean 32miles over hills at 17mph average :-(. I did feel great, but when I got showered and ready for bed my under-used (now over-used) hip and lower back muscles contracted so much I thought I’d slipped a disk ! A few sore days later and I’m on the mend but it had served a warning against too much too soon. So in a nutshell ; at week 5 I was eyeing a return at week 10 and hopeful of an October marathon. At week 7 I saw my surgeon and he explained that, given the amount of bone shaved, cartilage shaved and the grade 3 arthritis, I should count myself very lucky I’m not still in agony. He was also irritated by any talk of an October marathon. At week 12 I tried three runs and resolved to leave it a little longer and at week fifteen I overdid it on the bike. This recovery is going to take a lot more patience and mental toughness than I expected – just when the beautiful summer nights are here. So it’s been two weeks since the operation and as I took a lot of heart in the pre-op stage from reading what others have had to say about their recovery I feel that I should share my post op experience. Despite having an extremely negative surgeon who has told me to stop running I remain extremely positive. I got my stitches out today and the wounds are healing well. There’s still a fair amount of bruising and I can’t fully weight bear comfortably but I no longer have the bone on bone hip pain that I’ve had for the past twelve months. I am convinced, in spite of the surgeon and grade 3 arthritis, that I will run and complete my October marathon. I’ve been on the static bike now twice with no hip reaction and I’ve been doing rehab exercises and plenty of upper body weights. I believe that an active recovery is vital. In the days I haven’t trained (weights& hip rehab exercises) I have been sore. Thankfully this has only been two days post op. I should add, for the benefit of anyone waiting for this op, that I went into it active. I trained as best I could right up to the operation. I’ve learned over the years that the only way to deal with injury is to work around it. Note that I said “around” it. My days of working “through” most injuries are probably over and I’ve adopted a much more sensible approach. So it’s been ages since my last blog. I was just into my 2,013 mile challenge in 2013 when I suffered a labral tear in my hip in February. Although I kept the challenge going up until August the prognosis from the Consultant was not good. The first consultant told me I had a cist, the hip was bone on bone, I had signs of degeneration and I also had arthritis. In summation he was telling me that, even if I had a hip arthroscopy operation, my running days were over. This was very hard to take given that I was running 50-60miles per wk. If one more person suggested “taking up swimming” I was going to strangle someone! I then went to see a second consultant in April. He is a triathlete and has a better understanding of the overall picture. He referred me for an operation with a view to it fixing the hip as best as possible and giving me another 18-20yrs running. Such a difference!! I liked this assessment much more than the first and I duly signed on for the operation. Now, in February 2014, a year after the initial injury I am sitting one week post-operation and looking forward to getting back on the road. Time will tell if I can do the Dublin Marathon in October or any future marathon but for me early signs are very positive. Although I’ve had no follow up consultation yet, the physio suggested the op went well and I have to admit it feels good. I’m still on crutches and still very tender but definitely don’t have the same ‘bone on bone’ pain I’ve had for past twelve months. I blogged about the importance of these in the past and called them “piggy back” runs…So what about these ‘piggy-back’ runs? This is something I would recommend every marathon trainer do (possibly not if it is your first marathon though, because it could cause injury). The method is simple. I always got out a run the day after a long run. So if I did 23 miles on Saturday, I made sure I did 6-8miles on Sunday. I called these piggy-back runs because I was piggy backing on the previous run. 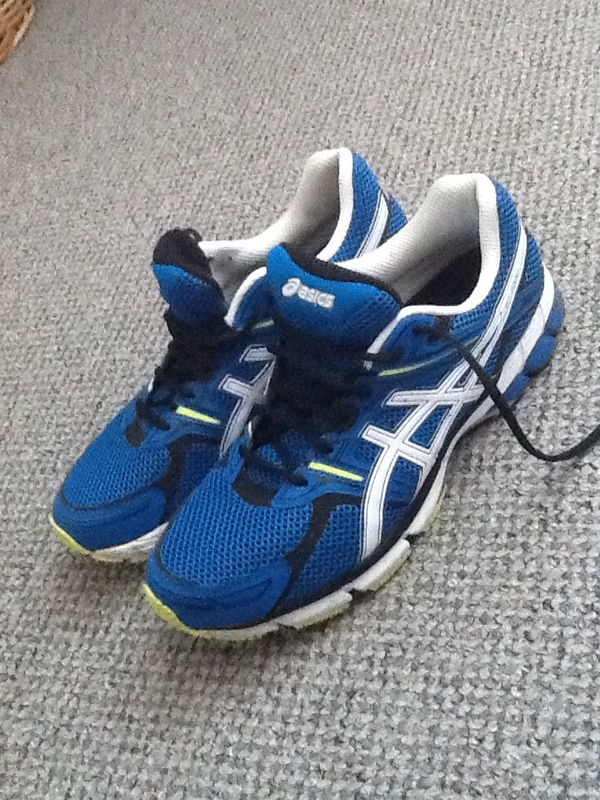 In other words, the Sunday run, although short, replicated the tiredness, soreness and nutrition depletion of the Saturday run all over again – in essence I got two long run effects for the price of one! I knew it was a dangerous strategy so you have to listen to your body with this one. I did ‘bomb’ a couple of times at the end of a 60mile week, but boy did it prepare me for the marathon! At no point during Monday’s marathon did I feel any real major fatigue. Try it out – even if you only do a two mile piggy back run. It teaches you to run well on tired legs! 1. Do relax the day before. If you really need to, run a very slow mile or two. 2. Don’t make the mistake of taking on too much water and too many carbs. Simply replace normal dietary needs with higher carb foods. You don’t need to binge on twice as much food as normal! 3. Remember water intake dilutes other things in your body such as salt – you are better supping on isotonic sports drinks for your fluid requirements. 4. Prep your gear early (dont forget the Vaseline ) and really do try to get to bed early even if you can’t sleep. 1. Relax. You’ve a long run ahead, not a sprint. You have plenty of time to find your rhythm. 2. During the race run your own race, don’t get sucked in by others around you. Find a comfortable pace for you and don’t alter it. 3. No doubt you have a target. Don’t let it be your master on race day. It should have been your master during the months of training but now it is all about how your body feels on race day. Run on feel. Feel that you’re working but comfortably working. If you feel discomfort in miles 1-10 then peel it back a bit. 4. Break the race down and don’t neglect nutrition in the early stages just because you feel ok. I tend to think in groups of four miles. I try not to review how I’m performing until after each four miles. This works for me as I take on 500ml of isotonic fluid every 8miles. 5. Don’t let a “bad” mile affect you. You’ll have good miles and bad miles. Accept that now and it’ll maintain your mental stability. This is VERY important. This is another reason to break the run into segments. 6. Enjoy it. You’re doing something great and whether you hit your target time or not you should be immensely proud.